Love Lemon Larabars? Me too! 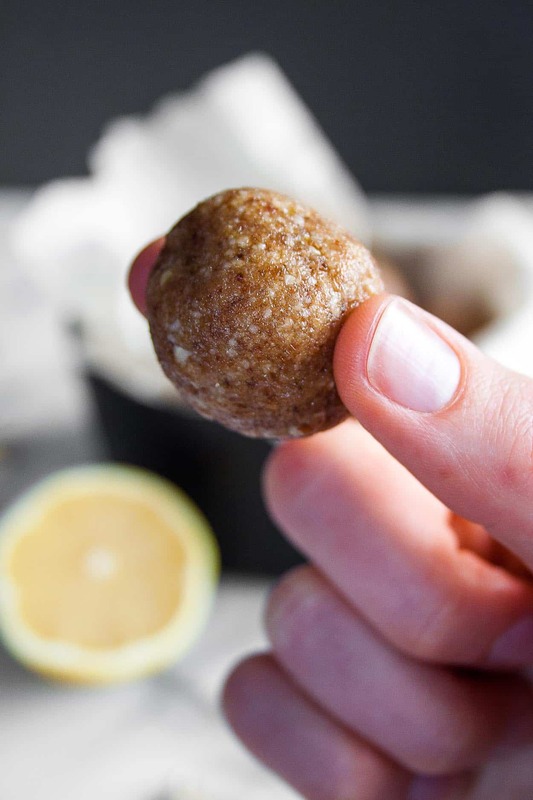 These homemade lemon Larabar bites taste exactly like the original and can be made in 10 minutes in your food processor. Ok ok that was a slight exaggeration but I seriously have a dozen of those in my pantry. And it is pretty much the only Larabar flavor I buy. And while they aren’t expensive (I can get them at Mariano’s for $1/bar), it’s quite easy to make them at home. All you need is 6 ingredients, 10 mintues, and a food processor. Heeeellllllo. How easy is that?! 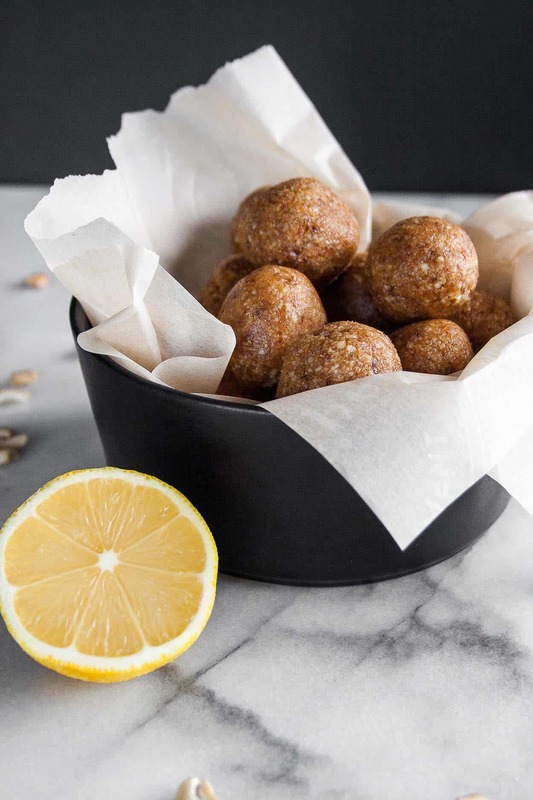 The key to these lemon bites is lemon extract. You really want that tart punchy flavor and the extract is concentrated enough to bring the flavor without too much liquid. You will still add fresh lemon juice and zest (whyyyy is lemon zest so amazing?!) but the extract is crucial to having the lemon flavor really come through. If you don’t want to use lemon extract, you can also use an indigestible essential oil – I highly recommend doTERRA. 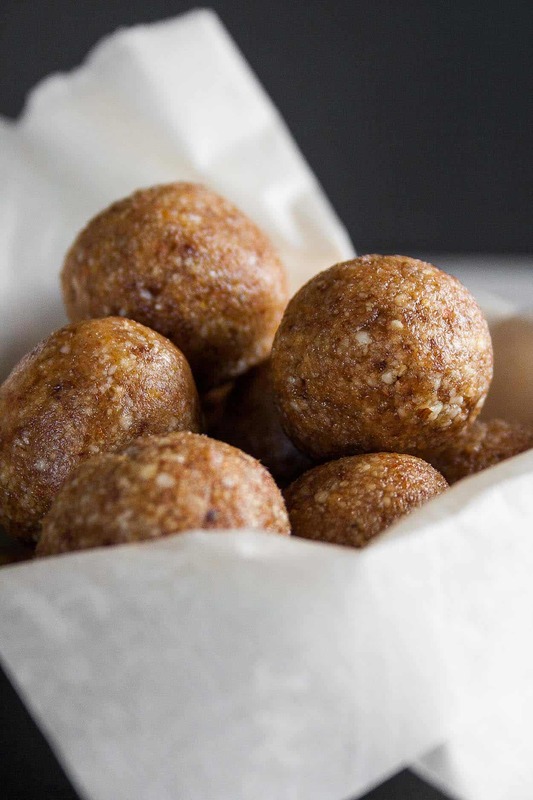 This recipe will make about 18 bite-sized balls. If you prefer bars, the mixture can be pressed flat into a bread pan (line it with parchment for easy removal!) and then cut into bars. As of this morning, I ate my last one (cue uncontrollable sobbing) and will be making another batch this weekend! Tell me: What’s your favorite Larabar flavor? 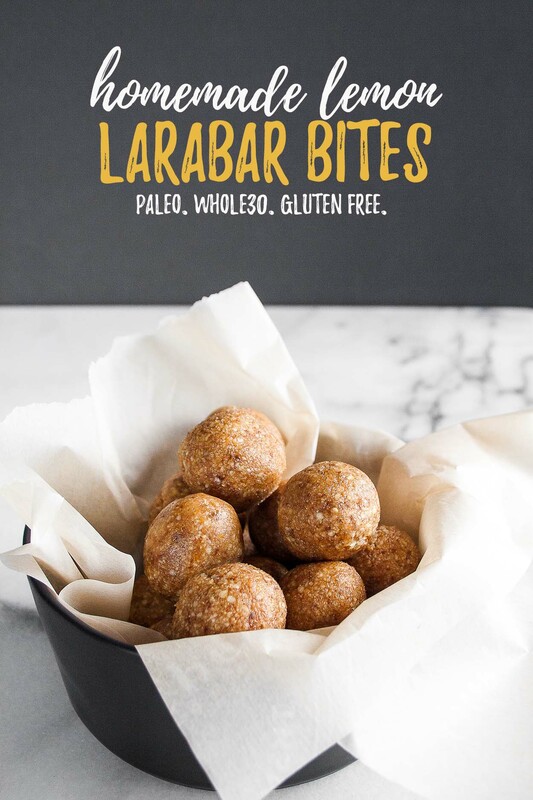 Make these Homemade Lemon Larabar Bites, post a picture on social media and use the hashtag #imhungrybynature for a chance to be featured! Add almonds and cashews to the basin of your food processor. Pulse until coarsely chopped. Add in the dates and pulse until incorporated and a loose mixture is formed. Add in the lemon zest, juice, and extract. Process until combined. Place bites on a baking sheet and place in the freezer to set for 15 minutes. Transfer to a storage container and keep in the freezer. I love that you have a Larabar flavor that is your favorite! MIne would have to be the peanut butter chocolate chip flavor, but I’ve seen some of the holiday flavors and they look really good too. It’s fun that you were able to recreate a ball that is so similar to them. 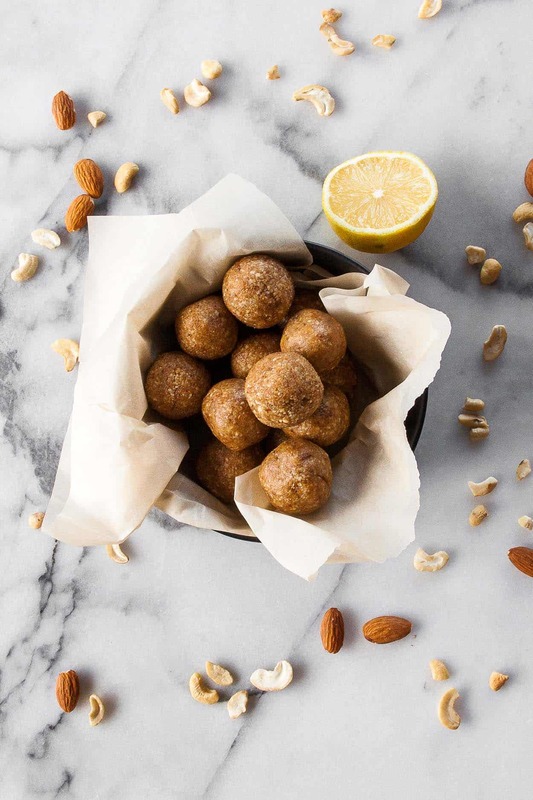 Pingback: 5 delicious travel snacks recipes, for tasty treats on the go. I’m sorry, ‘indigestible’ oil? Did you mean digestible oil? Hi De! I’m sorry – I don’t know what you are referring to… can you explain? Of course – my apologies De! I meant “ingestible or digestible” – aka something that is totally safe to eat! It’s OK, I know that lemon essential oil SHOULD be digestible and thought DoTerra would be, but just wanted to make sure. 😉 LOL, not a problem…Blessings, and yes, I love Larabars and lemon, so looking forward to making this one soon. Now to find a way to make raspberry ones…I’m thinking freeze dried raspberries might work…yummy! What type of dates do you use? 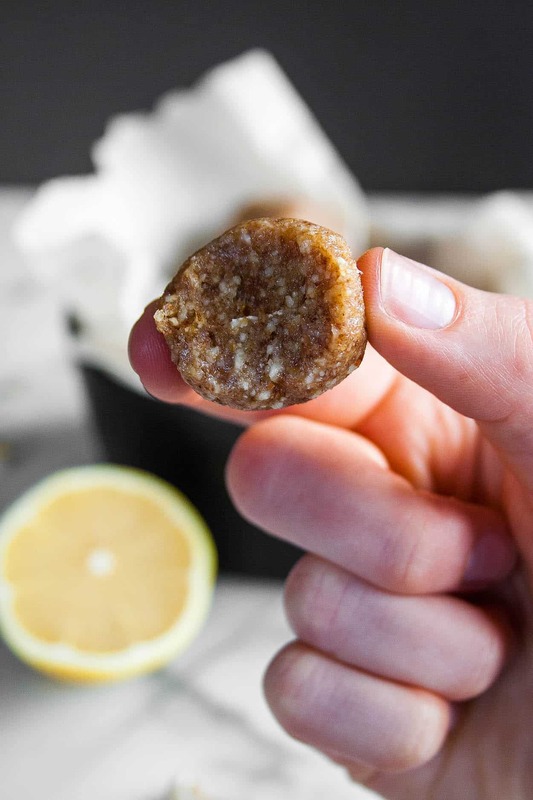 I discovered the lemon Larabar this summer, but in Canada it was a limited edition so I am on the hunt for a recipe!